Nu-EcoSafe Strip Industrial Sacrificial Coatings stripper is a brushable water-based paint remover that is biodegradable, non-toxic, user-friendly and environmentally safe. It is extremely effective in removing the toughest industrial coatings like epoxies and urethanes from metal, concrete, wood, masonry and brick. Lowers insurance costs for storage hazards. This product is engineered for spray or brush application. Airless sprayers are recommended. Use only airless equipment with chemical resistant packing and that can deliver a volume fo 2 L/min and 2500 psi. A typical medium size airless sprayer is capable of spraying this product. Equip the sprayer with a tip size of 0.019 inches or larger. (Example: a 519 or 425 tip). Other equipment: brushes, rollers, scraper, masking tape, plastic (polyethylene) sheet, pressure washer, electric drill with mixer, empty pails for clean-up, running water, rags. Roller application should be used only for horizontal surfaces. Cover/protect areas where stripping is not desired, including adjoining surfaces where over spray may travel. Polyethene sheets make a very effective barrier. If using masking tape, apply two layers of tape and remove the top layer immediately after application as the remover may soak through the tape, damaging paint under it. Plants should be covered or washed thoroughly with water before and during application. Never shake Nu-EcoSafe-Strip Industrial. Shaking will cause product to separate. Using a drill mixer, mix product until it is uniform in colour and is creamy in consistency, (About 1 minute 4 litre). Remove all filters from the pump, sprayer and gun. Prime the pump and run stripper through the hose and gun until all previous water/solvent/paint residue has been cleaned out. Apply a thick, even layer of stripper onto the coating being removed. An airless sprayer is the most effective means for application. Always start the sprayer pump at the lowest pressure setting and slowly build up the pressure until an adequate fan pattern has been generated. High pressure and narrow tip sizes will break the stripper's emulsion and will destroy its effectiveness. The stripper must be applied 1.5 to 2 times the thickness of the coating being removed, i.e 20 mils of coating requires 30-40 mils of stripper to be removed effectively. When trying to build up films thicker than 30 mils (600 microns), or when trying to apply the stripper on a glossy or greasy vertical surface, it is advisable to build the stripper film in two separate applications. First apply a light coat of approximately 15 mils (300 microns), thick enough to hide the surface colour of coating and allow it to dwell for 5 to 30 minutes and then build the rest of the stripper film thickness in a second application. Once applied, leave the stripper alone, as agitation slows down penetration. If using a brush, make sure the underlying surface is completely covered with Nu EcoSafe Strip Industrial Sacrificial Stripper. 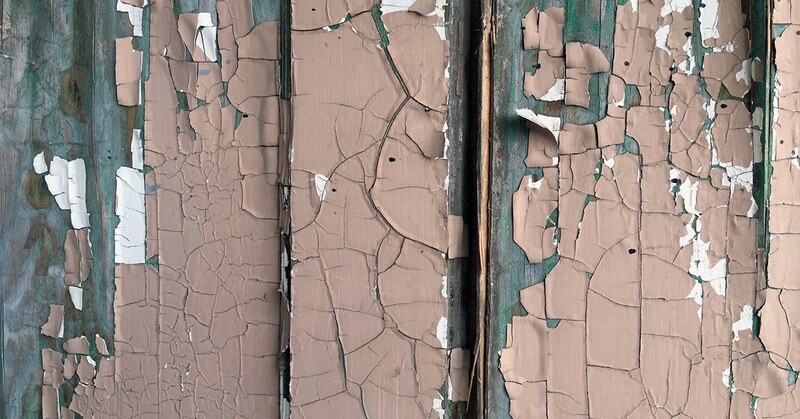 When there are multiple layers of paint, it is possible that there is poor inter-coat adhesion between some layers. Premature lifting may occur at this interface. If this happens, remove the lifted layers and reapply the stripper. Do not rinse with water between applications. Do not allow the stripper to dry out. The stripper is designed to remain wet and effective over extended periods of time (up to 48 hours), but excessive sunshine, windy conditions or insufficient stripper thickness can cause early drying. If the stripper starts to dry, reapply a light coating and allow extra time for completion. The time required for penetration varies according to the type of paint, the thickness of the paint, and the temperature. Most paint systems require between 2 to 36 hours. Nu EcoSafe Strip Industrial Sacrificial Stripper can be left overnight, but do not allow it to dry out. Removal of lifted paint can be completed by scraper, squeegee, wet/dry vacuum suction system or by high pressure (2,500 - 3,500 psi) water wash. Be careful if using a high pressure washer on porous surfaces as it may harm the surface. Pressure wash from the bottom up on vertical surfaces to prevent rinse water from deactivating stripper in sections below. The stripped surface must be rinsed with water to remove all chemical residue before repainting. Collect lifted paint and place it in plastic containers, Add Nu EcoSafe Strip Ecozorb to absorb the remaining liquids and dispose of in accordance with local government regulations. Do not collect and/or store removed paint and stripper waste residue in metal containers. Clean up spray equipment by running water through the equipment soon after the spraying has been completed. Proper safety procedures should be followed at all times while handling the product. Refer to the Material Safety Data Sheet for important health and safety information before use.